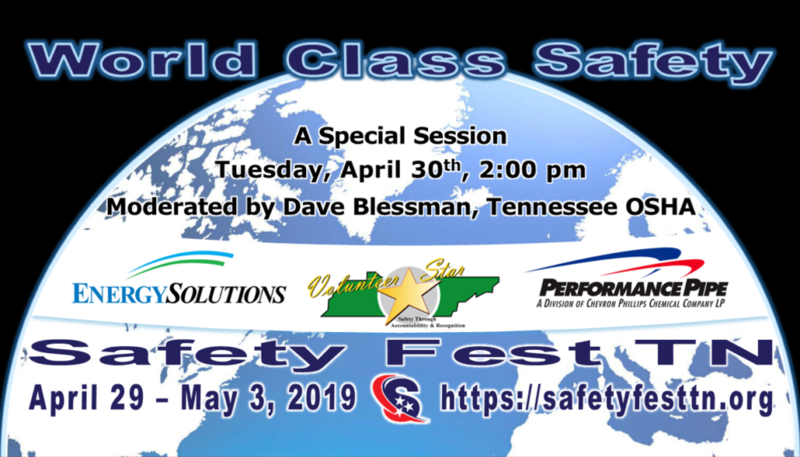 Tuesday, April 30, 2019 at 2:00 pm, join Joe Fleetwood of EnergySolutions, and Jacque Gierth of Performance Pipe when they present World Class Safety moderated David Blessman of TOSHA. All classes, sessions, and demonstrations at Safety Fest TN are free but registration is required to ensure there is enough space. More info below. Learn from World Class companies in a special session moderated by Mr. Blessman, TOSHA. Representatives from TOSHA Star-VPP companies will discuss their programs, operating experience, lessons learned and special projects that keep them safe and competitive at work, at home and in the community. Joe Fleetwood, CSP, CIH: Joe is the Health & Safety Manager at EnergySolutions in Oak Ridge, TN. After graduating from East Tennessee State University with a degree in Environmental Health, Joe began his health & safety career with consulting and transitioned to a site health and safety position in 2016. Joe is a Certified Safety Professional, Certified Industrial Hygienist, and is currently serving as Vice President of the East TN Chapter of ASSP. Jacque Gierth: Jacque is a 28 year employee of Performance Pipe, a division of Chevron Phillips Chemical Co. She has spent 18 years in the EHS Representative position active in EHS with all Performance Pipe facilities and mentoring other facilities, where possible, in achieving VPP. The facility has been a VPP Star site since 2005 and proud recipient of the Tennessee Governor’s Award of Excellence for Workplace Safety and Health for 11 years. David Blessman: David has worked for TOSHA for 17 years serving in the positions of Industrial Hygienist, Health Consultant, Occupational Safety Specialist, Safety Supervisor and most recently as VPP Manager. He has also worked in private industry as a Safety Specialist for an Automotive Parts Manufacturer and as an Industrial Hygienist for the PACE and USW International Unions.